Today marks the 50th Anniversary of Star Trek and I’ve been posting video and posts all day on my social media but haven’t actually provided any insight into the role Star Trek played in my life. My status as a geek and nerd is confirmed without any more evidence and so, it can be assumed that of course, I love Star Trek. For myself, and I assume many other fans, it’s more than just a realm within SF geekdom. Star Trek has been one of the constant unfolding narratives against which my own personal story has taken shape. I was too young to catch the original series. The show had been off the air for six years before I entered the world. As a young child, I caught it in reruns from time to time but the franchise didn’t connect with me until my early teen years. Star Wars was the fiction of my childhood. 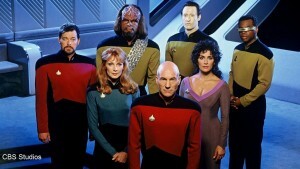 Star Trek was the fiction of my adolescence. It wasn’t intentional–simply the release of films and shows coincided with key life points perfectly. I caught Star Trek the Motion Picture and Wrath of Khan on VHS and was enthralled but it was Star Trek III: The Search for Spock that changed everything. My father drove us to a drive-in theater outside of Denver, Colorado on a late Friday evening. It was my first drive-in film and my first Star Trek film on the big screen. It was 1984 and I had just turned nine. The film released on June 1 and my birthday was June 2. What a birthday gift! The spectacle, the adventure, the challenge . . . I absorbed it all. But there was something more . . . the film called to my sense of wonder in a way that other SF hadn’t. There was that promise of potential hidden in its fantastical displays. I knew I’d never hold a lightsaber. The technology of Star Wars was on the level of dragons and elves–fantastic but impossible. Star Trek was something else. When they discussed the Genesis device, I caught a glimpse of a far-out idea that had its hope rooted in science. Unlikely, but just maybe . . .
And that was all the difference. The fantastic is valuable without call to anything else. I love Lord of the Rings and Star Wars and wizards and dragons and all of those worlds for the fact that they open new doors in my imagination. But Star Trek was something else. Star Trek showed me the fantastic and gave a hope of a promise. These things might be achievable. Far, far off in our collective futures, this might be a reality. There was an underlying challenge to that promise: if we can all just get it right, come together, and dream big dreams and pursue them . . . then, just maybe this might all be possible. I had been consumed with science and computers for years, but in my small town surrounded by cornfields in Nebraska, I was fairly alone in my obsessions. In a town dominated by football, the asthmatic boy with the telescope and comic books is the loner. 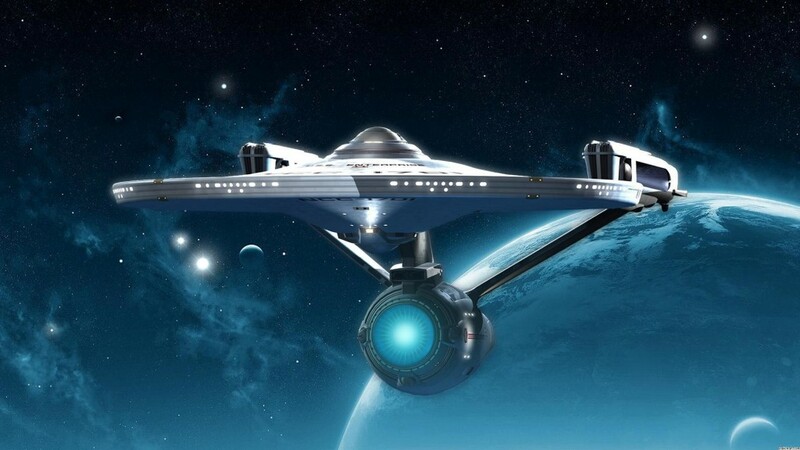 Star Trek gave me hope that somewhere, there were others that were passionate in asking “What If?” and probing through the world from discovery to discovery. 1986 came and KWGN out of Denver began running ads for a new Star Trek. The Next Generation of Star Trek. I had only known Kirk and Spock and NCC-1701 and mistakenly assumed the crew was returning to television. That was a great error– what showed up was nothing like The Original Series. The cast was wildly different–a fact most evident in the juxtaposition of captains. Where Kirk was bold and action-oriented, a figure that evoked John Wayne (or Teddy Roosevelt) on a starship, Picard was strategic, conjuring images more of Abraham Lincoln in space. Then the rest of the ensemble marched onto the screen, each more startling than before. Data, the Spock equivalent, was delightfully innocent and curious. Geordi La Forge was an engineer that used his disability as a foundation to build his expertise upon. And there was a counselor! Mental health aboard a starship? This wasn’t a military expedition–this was far more. My teenage brain was scrambled at all of implications of each character. Picard was the hero but Data was the audience’s eyes. We were just as curious about this new world we had found ourselves in and Data’s exploration filled in the gaps of our knowledge. I caught the first episode on the first night it aired September 28, 1987. I was thirteen. I had been an official teenager for nearly four months. And I followed The Next Generation for every single year of my adolescence, through high school and into the first year of college. It’s challenging to summarize the life formation that The Next Generation provided. Seven years of episodes each had an impact. There were some that were just raw entertainment–a rush of challenge and adventure–but there were so many that pushed my small world, asking questions of existence, reality, and purpose. In reflection, Picard, Data, and Geordi were my mentors. My socially-challenged self found Data’s own exploration of social engagement to be quite refreshing. In reflection, it was Worf’s lessons that seem to still resonate to the day. If Data was intended to be Spock’s equivalent, it was Worf that provided a mirror reflection of Spock’s own character arc. For me as a teenager, Spock’s internal wrestling with his emotions was instructive. Yet, Worf portrayed the same battle from the other side–Spock was a logical mind tempted by emotion; Worf was the beast drawn toward restraint and fighting against his emotional outbursts. I learned lessons in balancing my own wild emotions from both. I needed both mentors in those years and feel much gratitude to them. 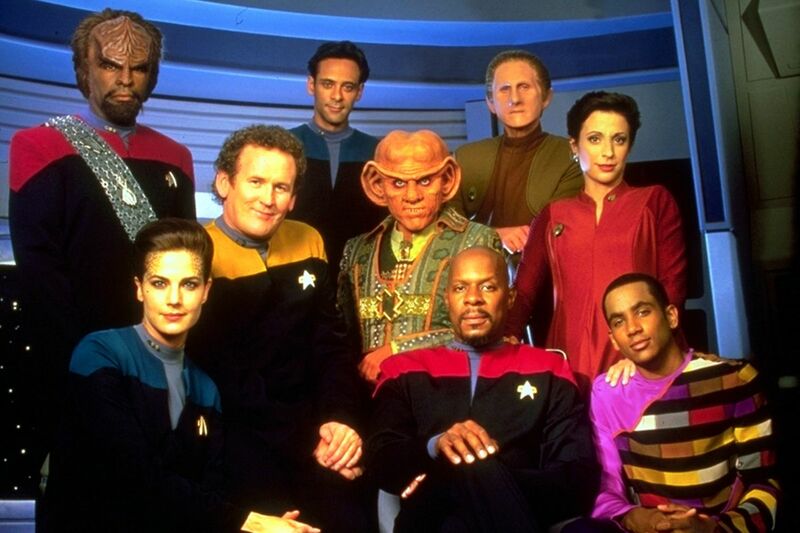 Then near the end of the series, I encountered Deep Space Nine, the third series in the franchise, and in my opinion, the best of all Trek from the first episode in the 60s to now. I know that’s a brave claim but on rewatch, Deep Space Nine pushed even further the limits of social challenges that both TOS and TNG engaged. More so, as a writer, Deep Space Nine taught me lessons about the nearly limitless capability of science fiction. The story arc of DS9 was far different than the prior two series: the entire seven years of the series is one complete narrative. The prior two series were episodic and the arcs far looser. DS9 plunged into relational depth in a way the others didn’t or couldn’t. It’s setting alone provided that capability: a space station as opposed to a starship. The universe came to them rather than they seeking out into the unknown. The stability of location allowed for factions and alliances that weren’t glimpsed in Star Trek until them. Yet, DS9 didn’t just alter the tone of Star Trek– it changed the course and tone of all televised science fiction. It’s gritty engagement of the ebb and flow of its broken, flawed characters paved the way for the relaunch of Battlestar Galactica, a show that takes borrows much in tone from DS9. If it’s not too large off a claim, the televised success of Game of Thrones could only occur in the wake of DS9. DS9 proved that depth of storytelling wasn’t foreign to speculative fiction. In DS9, the heroes were flawed and the villians all had redeemable qualities. If you have a moment, watch episodes six and seven of season six. Near the end of season six, the big baddie Gul Dukat is loosing his hold on DS9–he discovers his daughter’s a traitor and yet, in the battle, demonstrates that she is far more important to him than anything he has achieved in his military career. His second overhears the girl’s confession and kills her. We end the episode with the great villian huddled over his dying daughter sobbing at the loss of her life as all of his military accomplishments collapse around him. It’s a heartbreaking moment and beautifully written–a scene that has far more power on the screen than my attempt to retell it here. As a writer, DS9 is an instructive, master-level workshop worth your time and study. I could venture into each of the following stories and the list of films in far more detail than would be enjoyable. Each provided me something over the years. I was a fanatic watcher of Voyager–the series that I finished my college years and first years of teaching with. It had a rough and clunky start but soon found a rhythm and began to ask larger, more challenging questions. Star Trek is truly Star Trek when it is in this arena. Voyager, at the very least, echoed my own struggles in early adulthood–striking out as a quite small person in a far larger universe and feeling quite overwhelmed. Janeway and crew were dwarfed by the vast universe they had found themselves in and they still managed to thrive, ultimately finding their way home. It was a narrative that instilled hope in my own journey. My early years in Sacramento were carved out against the weekly adventures of Enterprise–a show that rekindled my love of science fiction after a several year hiatus. Despite it’s lack of success amongst the fandom, I delighted in Archer. He and his crew were a far less refined version of Kirk and his crew. They were far closer in spirit to our own current Western world. It was far more of the Western spirit in space than we had experienced in Trek so far. As we mature, there’s a moment in our late 20s, early 30s where we realize how much more growing up we have to do. Adulthood is an illusion. The crew of Enterprise were thrown out in an unknown galaxy and trying mature far faster than desired, trying to grow into the wise Federation that was represented in the other Treks. The recent films have been quite enjoyable although not necessarily in the spirit of Star Trek I grew up with–yet, that’s enough for me to recognize I’m likely biased in my view. My boys love them and they’ve been a door to Star Trek for them. I’m sitting watching DS9 on Netflix now with my oldest–something that would never have happened had Abrams Trek hadn’t occurred. In recent years, I’ve had the pleasure of meeting several Trek actors. Most notably was having lunch with Nichelle Nichols and sharing a stage with Levar Burton. Both were my heroes–epic on the screen and epic off screen. That’s perhaps the most remarkable of Star Trek: the actors that portrayed these fantastic characters were far more heroic and epic in real life. Burton’s efforts to engage children in the love of reading have impacted nearly everyone I know for at least generations. Nichols efforts in recruiting women and minorities for NASA is historic–we wouldn’t have the space program we do now without her. Last Spring, I had the opportunity to meet both Leonard Nimoy’s son Adam and Gene Roddenberry’s son Rod and express my gratitude for their fathers’ influence on my life–sentiment that it was obvious they had heard many times before. My story is still being written. I’m on the edge of my own frontier. If I’ve taken anything from Star Trek, it’s the unshakable confidence that boldness at the border of unknown is the only attitude to take. 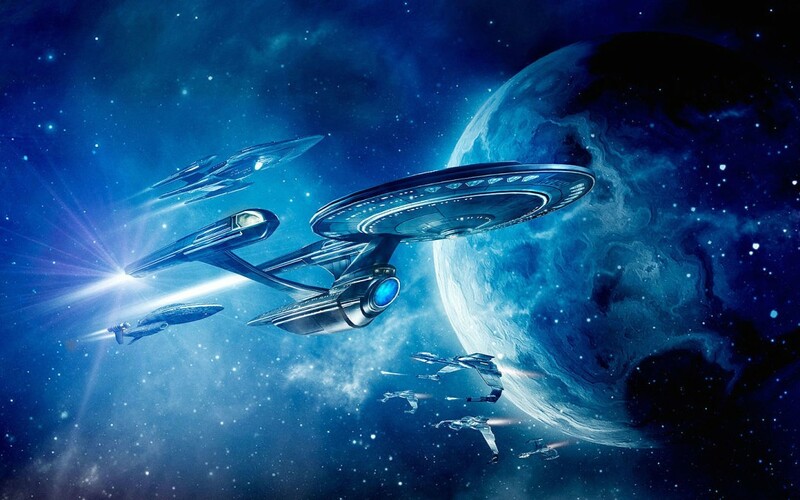 Out there, in the unknown, is a wonderful world and my story will only be written as I boldly go. To all the creators, writers, craftsmen, and actors that brought us the epic journeys of Star Trek, thank you and a very happy 50th Anniversary!